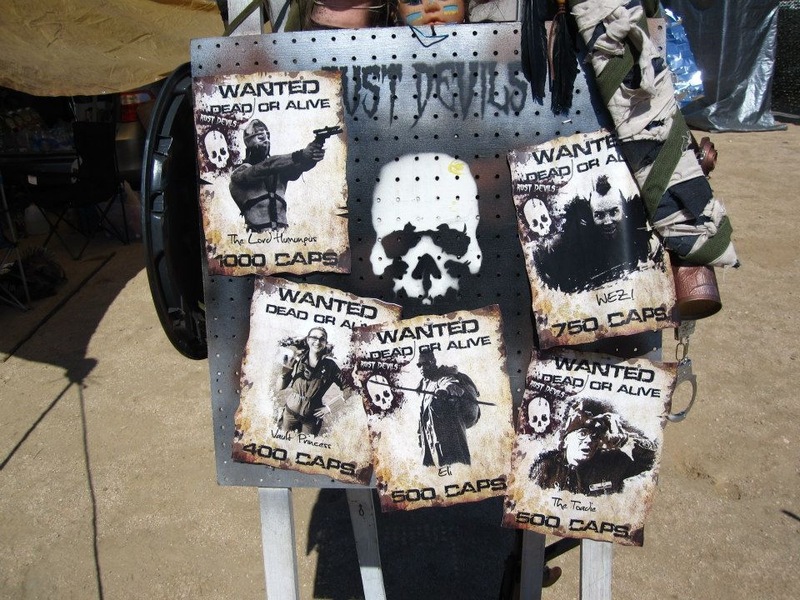 As part of the approved tribe-genarated entertainment at Wasteland Weekend, the Rust Devils have put together an in-theme way to enjoy the event, meet new people, and earn valuable bottle caps to gamble with at the casino. Are you ready to hunt… The Most Dangerous Game? 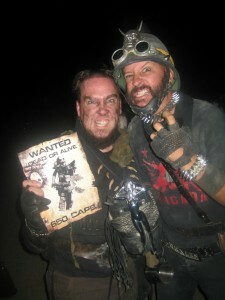 The bounty hunting game will be like a wasteland-wide game of “assassin” across all of Wasteland Weekend. It is open to anybody, from first-timers to veteran wastelanders, who want a way to explore the wastes and meet new people. So how does it work? 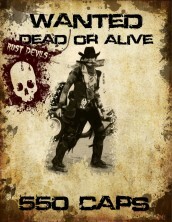 Just head over to the Rust Devils page and sign up. When you get to Wasteland Weekend, you sign in at the bounty hunters’ camp inside the Wasteland City gates, get a bounty, and start. The real fun is tracking your target, meeting their tribe, finding out where they might be, and exploring the event. Meanwhile, watch out, you’re being tracked too, but don’t hide too much, because the goal is to get caught, and maybe make a new friend. You “catch” your target with the time honored bounty hunting tradition: rock-paper-scissors. Afterwards, return to the bounty office to claim your bottle caps reward, redeemable at the Last Chance Casino. 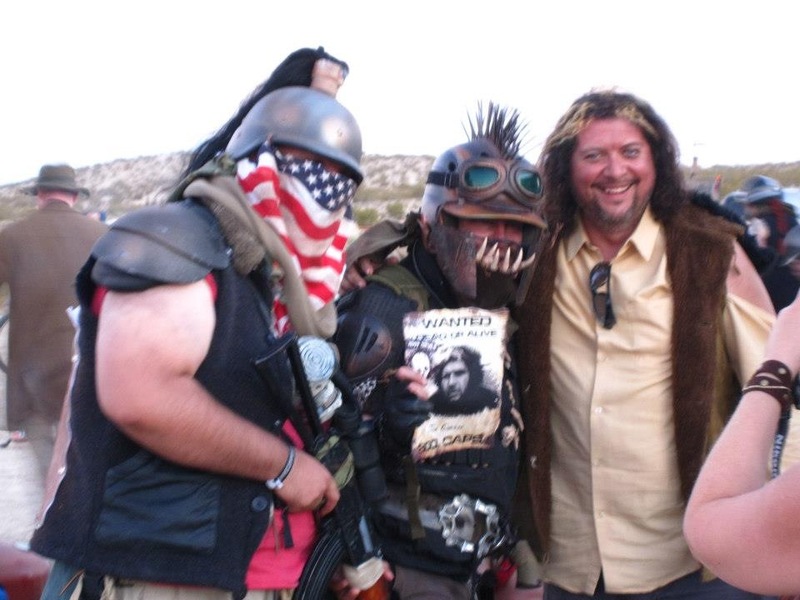 Buying your target a drink is purely optional, and you’re always welcome to stop in to the Rust Devils’ camp to hang out and swap stories with other wastelanders. There will also be special bounties available to experienced bounty hunters, some of the wasteland’s most notorious and evil characters who are wanted for their crimes. If you can be the hunter who brings one in, the fame and caps will be yours. There will also be awards for the most successful hunters. WATCH THE VIDEO to learn all about it!